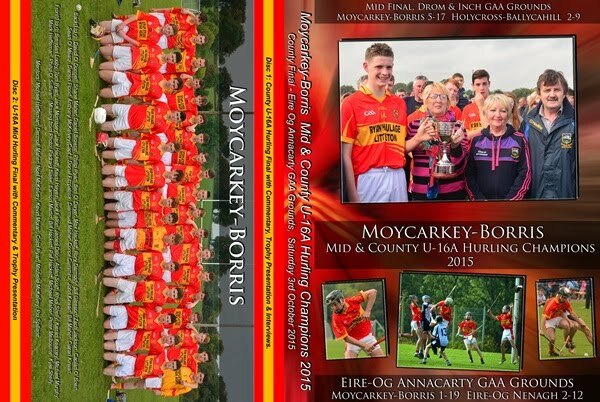 Moycarkey-Borris captured Mid and County Tipperary honours at the Under 16 A Hurling grade during 2015. A DVD featuring the full games in both the Under 16 Mid and County Finals (complete with commentary) is available for €15 . To order this DVD, please contact Michelle McKelvey on (087) 9870073 or michellemckelvey@ymail.com.